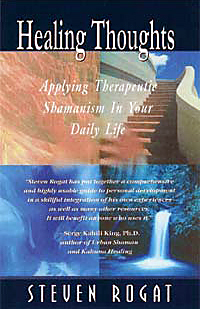 Healing Thoughts provides a welcome bridge between metaphysics and psychotherapy. Combining Hawaiian shamanism with various psychological modalities, it offers a flexible, unique, and individually adaptive system for physical, emotional, and Spiritual healing. Develop your natural intuitive abilities, dynamically interacting with the world to create a better reality for yourself and all around you. Learn to interpret the environment as a symbol of thought as you release limitations, heal memories, reprogram hindering beliefs, and “change the dream.” This book will help you take personal growth to a whole new level. Read Healing Thoughts sample pages at Amazon. Available at your local bookstore or online at Amazon. Also available on Amazon Kindle.